By Scobie Wilcoxon, June 15, 2018 in Introduce Yourself! Good day. Thanks for the add. 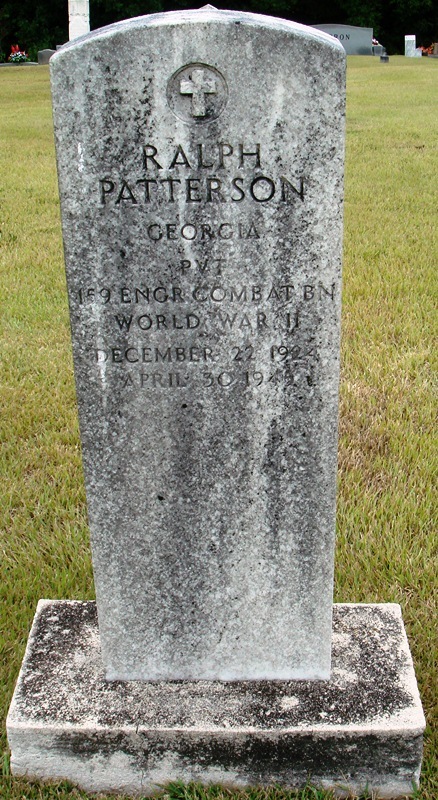 I’m the maternal great nephew of Ralph Patterson who died in Europe in April 1945. I have no info on his service other than that. Hoping being a part of this group will add to enlightenment. Have a great day. Welcome to the forum, certainly glad to have you aboard here with us ! Be sure to type in the "159th" in the search box to see past posts about this unit on the forum. Also believe this is your great uncle in the WWII Enlistment Records, hope this has helped you some. Having his service number and date of enlistment can be very helpful in finding other records. Good luck with your search! Welcome to the forum. We're glad to have you here. As Randy stated, do type "159th" in the search box on the forum to see the pertaining posts regarding this unit. Will get you off to a good start. Hello All - I recently joined the site. My Uncle, John "Jack" Jordan from Pennsauken NJ was assigned to the 159th CE Bn. I don't know which company. I have been trying to research his service for our family history. If anyone has info one how to track his service to the company level, so we can determine which operations he contributed to, and more details his time in Europe, we would greatly appreciate it. THANKS in advance! Advice? Try pursuing my research section first. It will get you guidelines on how to proceed. And of course, search this forum and the main site for other posts (as suggested by Randy). :-) And if you haven't done so already, first obtain his discharge papers, then look into obtaining the service records for the unit from NARA in Maryland. Let me know if you have any questions.